Go to dressbarncareers.com or dressbarn.com/careers to land on Dressbarn careers page on which shows the button APPLY NOW for you to click and move on to the next step. You can search job opportunities by entering job title, keywords, city, state and zip code or using advanced search with more searching criteria to help you find the exact job title. Here we just enter a job title in the blank and click the Search button. 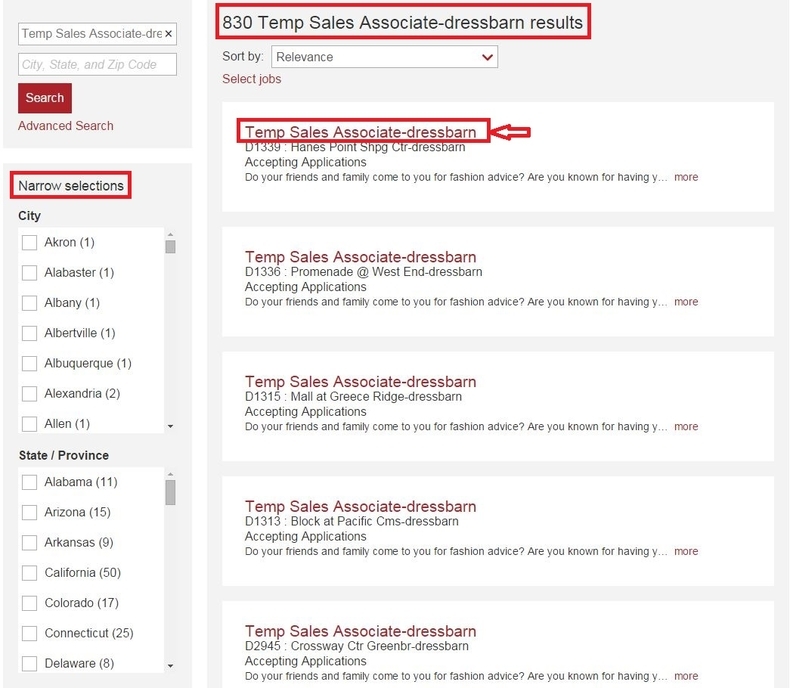 The page below shows that there are 830 temporary sales associate positions from which you can choose one and click the title or use the filter criteria to narrow selections on the left side of the page. Here we just choose the first result and click in. 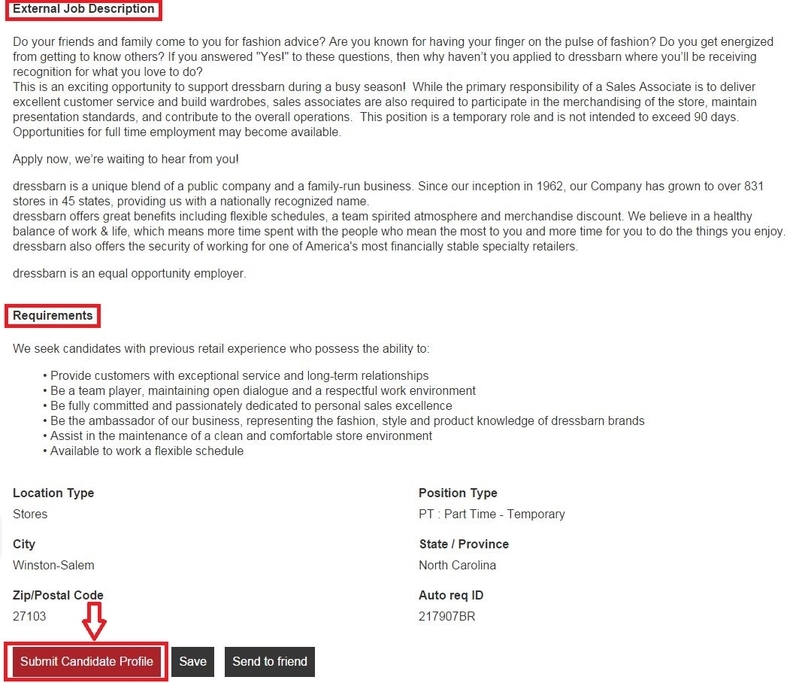 You're required to read the job description including job requirements, location type, position type, etc. and then click "Submit Candidate Profile" at the bottom of the page to continue with your application process. 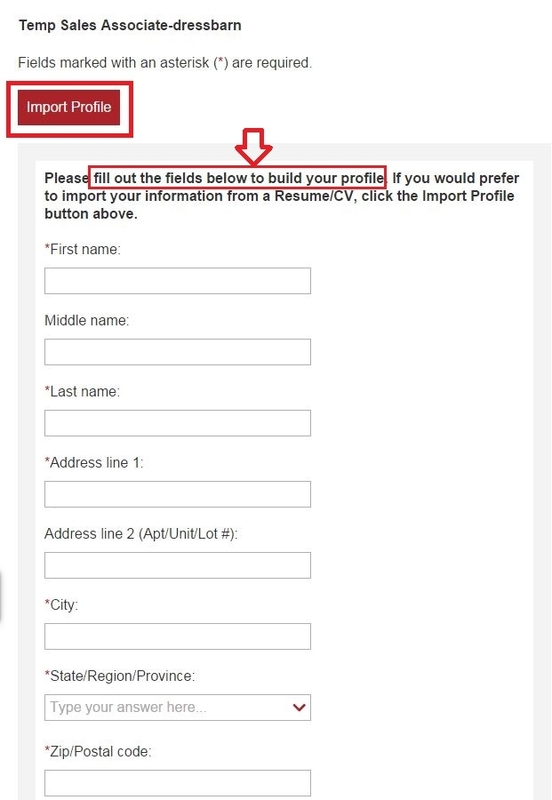 Build your profile by filling out the fields required fileds. If you would prefer to import your information from a Resume/CV, click the Import Profile button above. 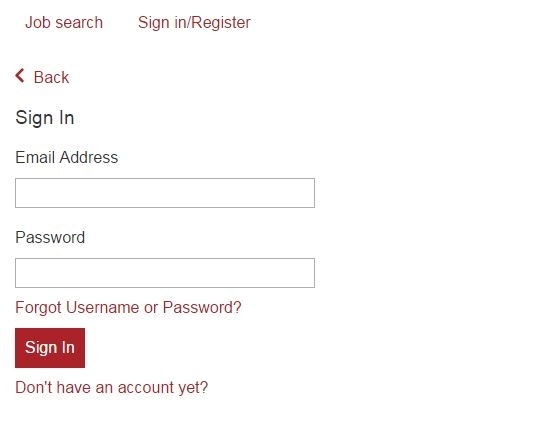 After you fill out your contact information by inputting your name, address, phone number, etc.. You need to fill out your work experience and education history by clicking Add button. 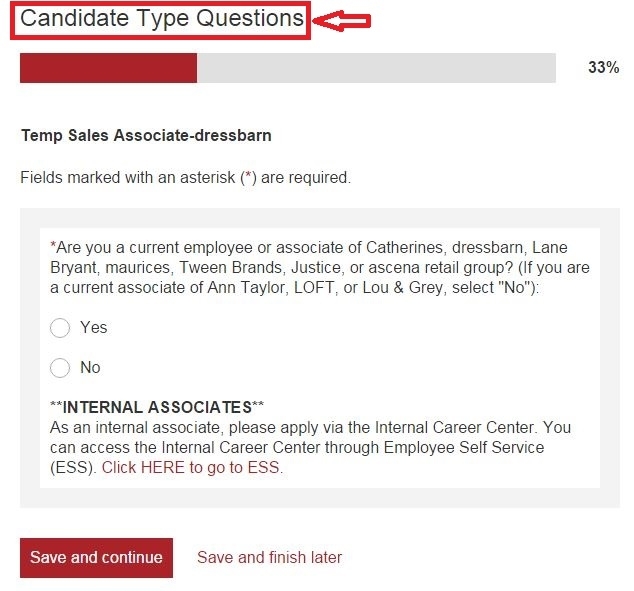 Answer some candidate type and profile questions as required. 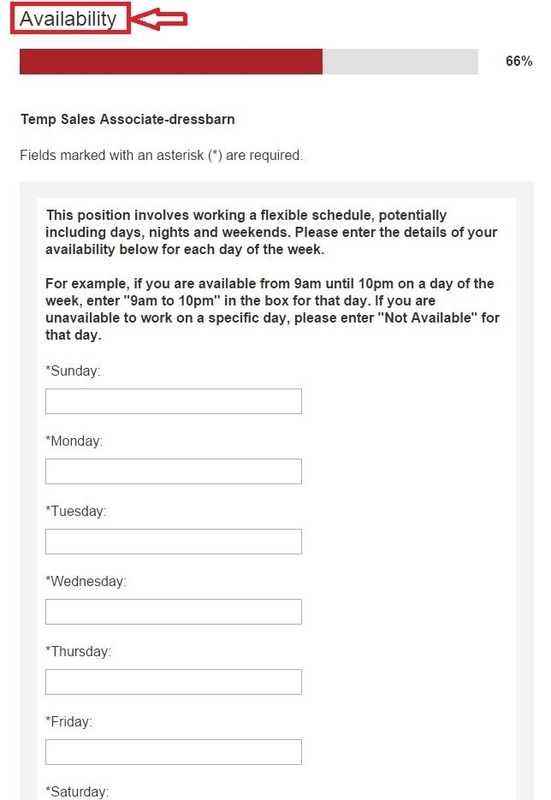 Here, you need to indicate all your availability by entering the time in the box and then answer a candidate source questions. Make a detailed review about your application and send it by clicking the Send My Application at the bottom of the page. 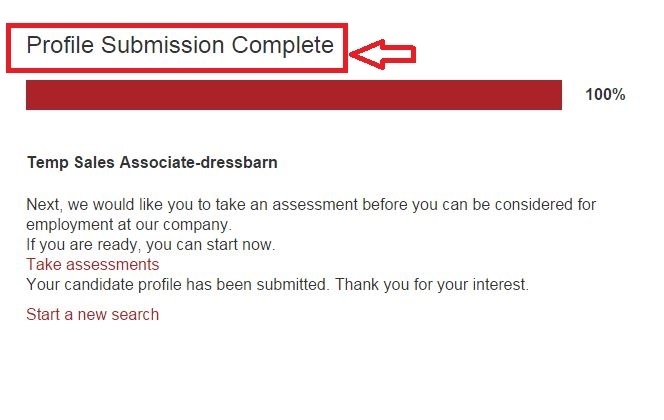 Here comes the end of your Dressbarn online application when you see the note - Profile submission complete. You'll see the message that the company would like you to take an assessment before you can be considered for employement at the company. 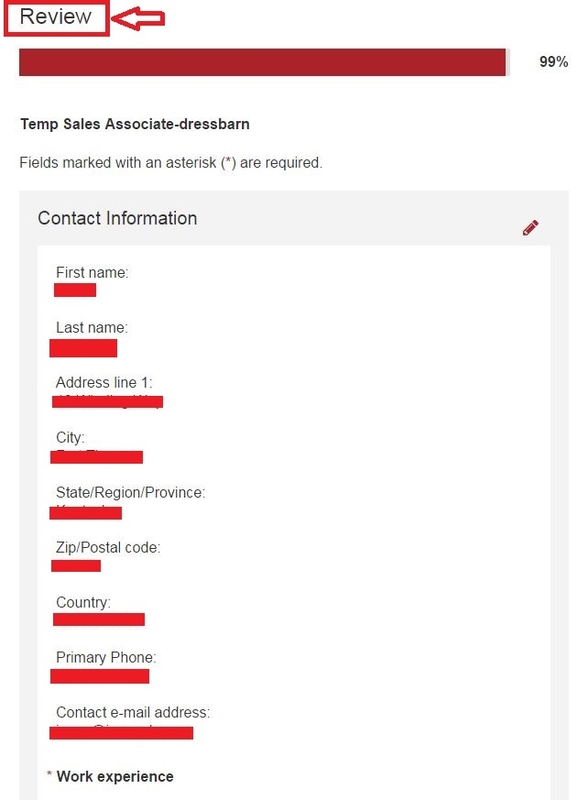 Just click "Take Assessments" to do a questionnaire containing about 100 hundred questions to completed all assessments to finish your Dressbarn online application. 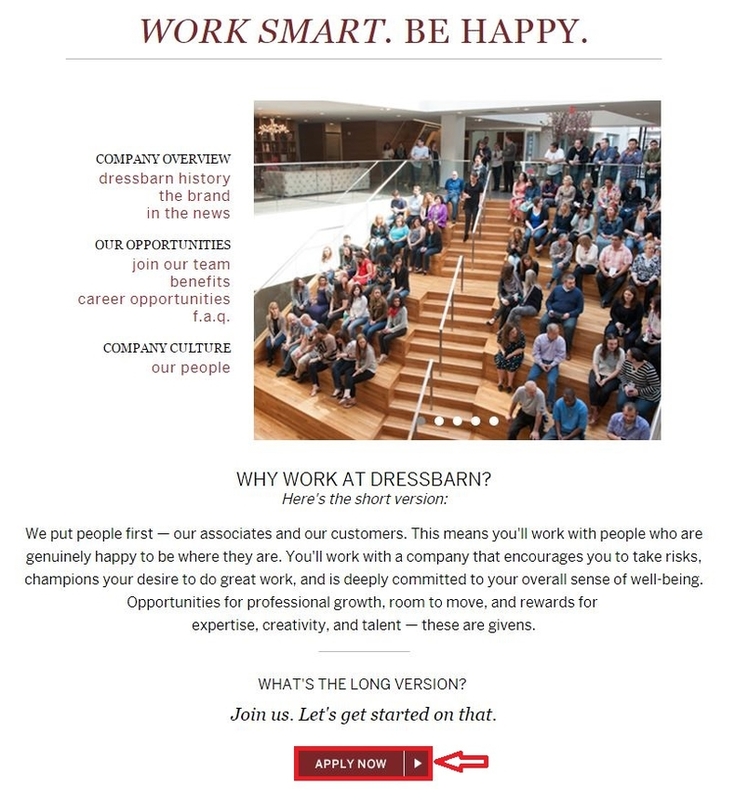 Click dressbarncareers.com to apply for Dressbarn jobs online.